The average used keyboard and computer mouse harbor 40,000% more bacteria than your typical toilet seat! That’s not a typo. 40,000%. And that’s the average. If your computer is used by young children or by people with the flu then your keyboard will have significantly more bacteria than the average. And once a bacterium gets on your computer equipment it can fester there for up to six weeks. Now that we have your attention (or at least have you thinking twice about touching your keyboard or mouse to navigate away from this page) we present to you the computer products of Seal Shield. This is a company that sells bacteria resistant, easily washable, computer equipment to the health care industry. 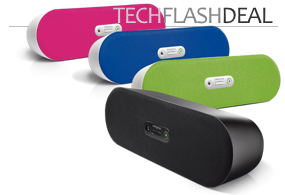 The company also markets some of their products to consumers, including a computer mouse and keyboard that are completely waterproof! And when we say “completely waterproof” we really do mean that you can submerge both the keyboard and mouse underwater and they’ll continue to function perfectly well. You can spray them with disinfectants. You can spill coffee on them. You can dip them in bleach. They are each so well encapsulated that you can even clean them in your dishwasher! The Seal Shield keyboards include the rigid, “normal-style” Meditech Magic and the bendable Seal Flex. The Meditech Magic works with both the PC and MAC and provides what we would describe as a slightly above-average typing experience; the keys have a medium firmness to them. The Seal Flex is designed to be folded into your bag and to be carried around with your laptop. Spot Cool Stuff did not care much for the unresponsive, mushy typing experience on the Seal Flex, but then we have yet to find a bendable keyboard that we do like (the best would be the Adesso). And at least the Seal Flex is easier to clean than your laptop keyboard. Sadly, the Seal Flex works only with the PC. Seal Shield’s mouse works only with the PC also. 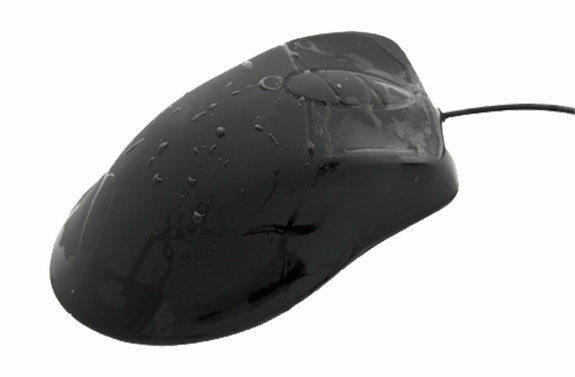 Except for it’s waterproof, dirt- and sand-proof, bacteria-resistant qualities the Seal Shield mouse is pretty much the same as your typical mouse. Seal Shield products are generally reasonably priced. We especially suggest them for households and offices in which germs, or spilled drinks, are a significant issue. 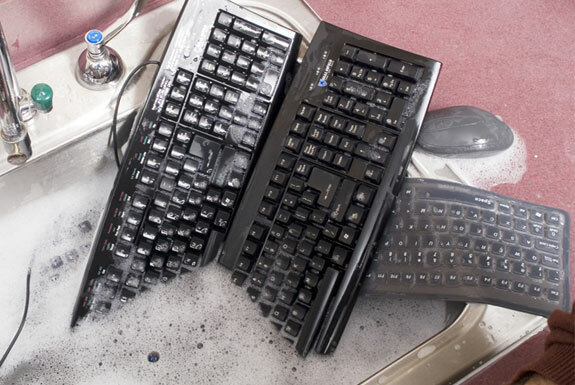 You can purchase yourself a dishwasher safe keyboard and mouse through the links below. But after you order you might want to wash your hands.